It is no secret to Americans, or the rest of the world for that matter, that the majority of people serving time in jails and prisons are doing so for nonviolent drug offenses. This is a byproduct of draconian drug laws that has disproportionately affected minorities. For decades, the use of mandatory minimum sentences has filled up American penal centers toward critical mass. 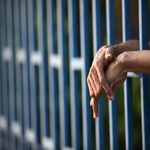 While it is a fact that certain individuals, such as drug traffickers and manufacturers, may deserve to be in prison, the vast majority of people behind bars were guilty of being an addict. Both research and common sense tells us that prison has little effect on addiction rates, as is evident by recidivism statistics. Addiction medicine experts and a large number of lawmakers know without any doubt that addiction treatment services are the weapon against the scourge of drug use in this country. Lawmakers across the country are working tirelessly to reverse draconian mandatory sentencing laws, and offering illicit drug users treatment instead of jail for possession charges. In the wake of the prescription opioid and heroin epidemic in the United States, affecting millions of Americans, the justice system can no longer operate as it once did. Addiction is a disease, not a crime. In recent years, the current White House Administration has been working to undo the mistakes of the past. This is why President Obama has been granting commutations left and right to people serving unjust lengths of time for nonviolent drug offenses. On Wednesday, the President commuted another 214 inmates' sentences, CNN reports. This will bring the number of commutations up to 562, a greater number than the past nine presidents combined. "This is a country that believes in second chances," Obama wrote on Facebook. "So we've got to make sure that our criminal justice system works for everyone."